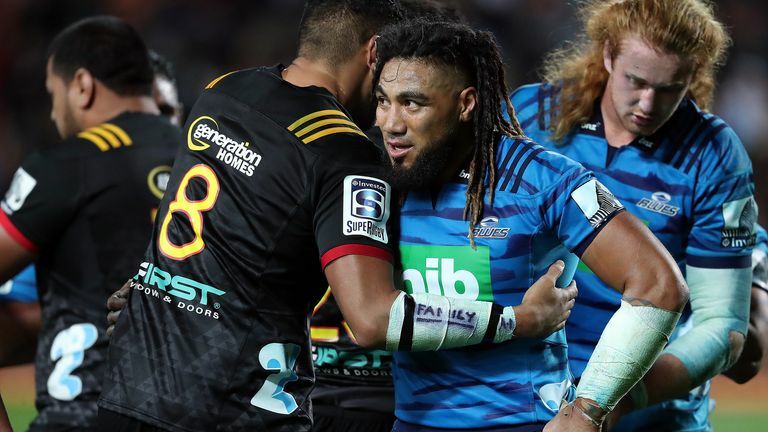 The Chiefs ended the Blues' four-match winning streak in Super Rugby with a 33-29 victory in a lively New Zealand derby. The teams matched each other almost try for try throughout the match, scoring three apiece in the second half. But the Chiefs had a vital 14-10 lead at half-time, and it endured throughout the second half to give them their third consecutive win, lifting them off the bottom of the New Zealand conference. The Blues entered with wins over the Sunwolves, Highlanders, Stormers, and Waratahs, giving them their first four-match winning streak in six years. They were probably the better team, winning more balls and constructing a territorial advantage. But the Chiefs, who flourish in games with little structure, were able to prey on the Blues' high turnover rate to build an impressive win. They clung to a four-point lead through the last two minutes after veteran center Ma'a Nonu scored to complete a second-half double. The Chiefs led 33-22 after a 72nd-minute try to Jesse Parete, but Nonu's second try put them under severe pressure in the dying moments. 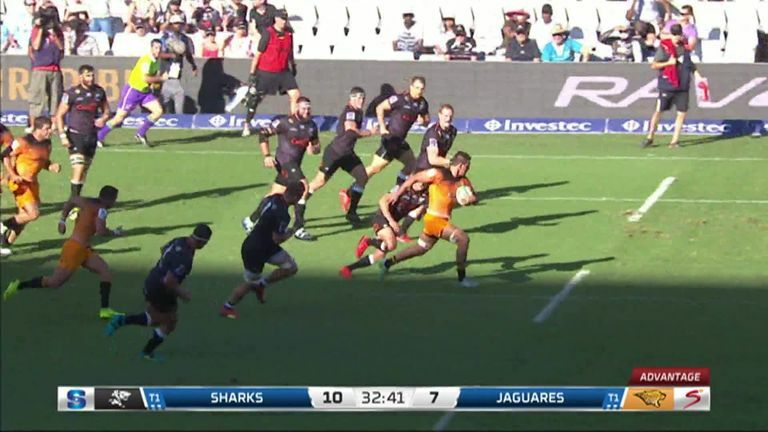 The Jaguares scored seven tries as they demolished the Sharks in Durban winning 51-17. The Argentine side claimed back-to-back wins on their South Africa tour, and a first-ever success in Durban, to storm back into contention for top spot in the conference as they overwhelmed their hosts by seven tries to two. Flanker Pablo Matera scored two tries, while scrum-half Tomas Cubelli and wing Matias Moroni also crossed over as the Jaguares proved clinical with ball in hand while also putting up a stout defensive effort to keep their hosts at bay. The Sharks crushed the Lions last weekend at Ellis Park, but their inconsistency showed again as they were always second best, scoring only the two tries via lock Hyron Andrews and replacement back Aphelele Fassi. We've put 80 minutes into 80 seconds as the Brumbies beat the Lions 31-20 in Canberra. 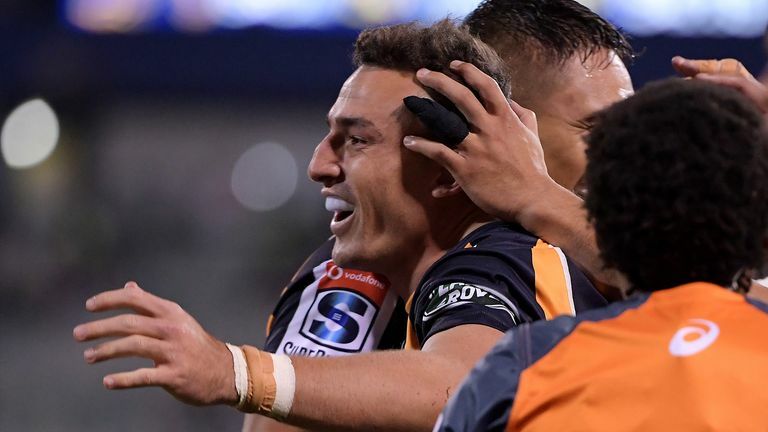 The Brumbies scored five tries in Canberra to rebound from last week's heavy loss to the Crusaders and see off the losing Super Rugby finalists from the last three seasons. Number eight Lachlan McCaffrey and winger Toni Pulu crossed in six first-half minutes to put the Brumbies in front for good after they conceded an early try and Wallabies centre Tevita Kuridrani increased the lead with a third just before the break. Lions fly-half Elton Jantjies produced a bit of magic to reduce the deficit after 50 minutes but another two-try burst in three minutes, courtesy of backs Tom Banks and Tom Wright, set the home side on their way to a third win of the season. The Johannesburg-based Lions also suffered a thumping last week but they were unable to respond despite scoring the first and last tries of the match through wingers Aphiwe Dyantyi and Sylvian Mahuza.